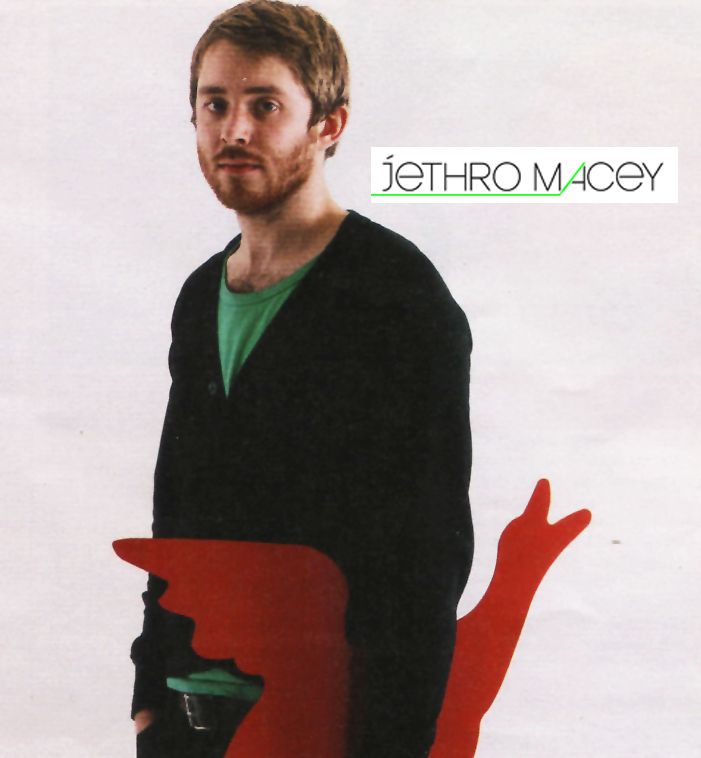 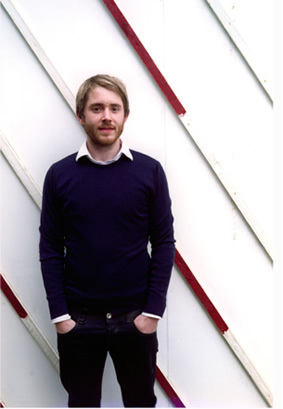 Innovative 26 year old designer Jethro Macey has been hailed as a 'Name to Watch' in 2008 by the Telegraph Magazine and the recipient of several impressive design awards. 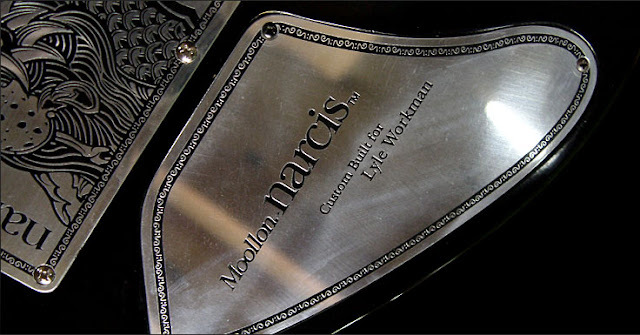 He has self-produced many products and collaborated with companies like Decode London and Worldwide Fred for both mass produced and limited edition products. 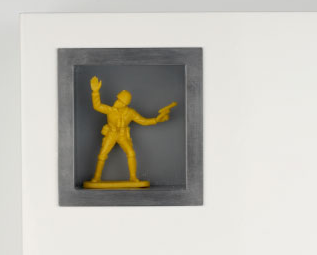 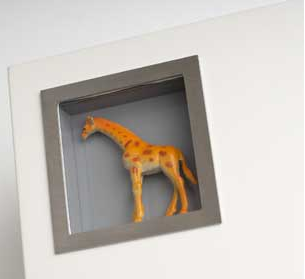 Side boards, wall hooks, table lamps, wall-mounted bathroom cabinets and floor tiles get infused with texture and whimsy to create unique and charming alternatives to the ordinary. 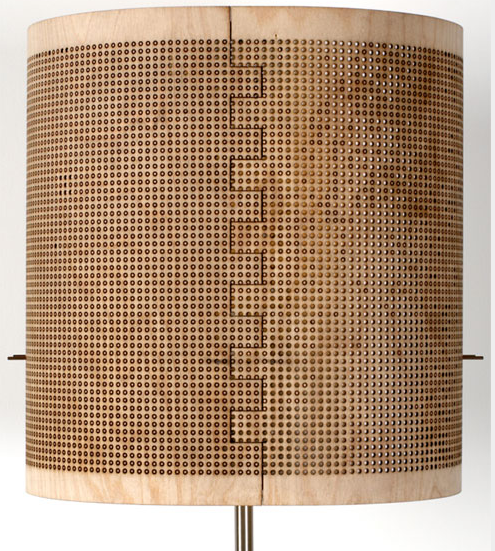 His Coin Lamp is the first product in a range based on the concept of values and reward, it subtly heightens awareness of consumption through design. 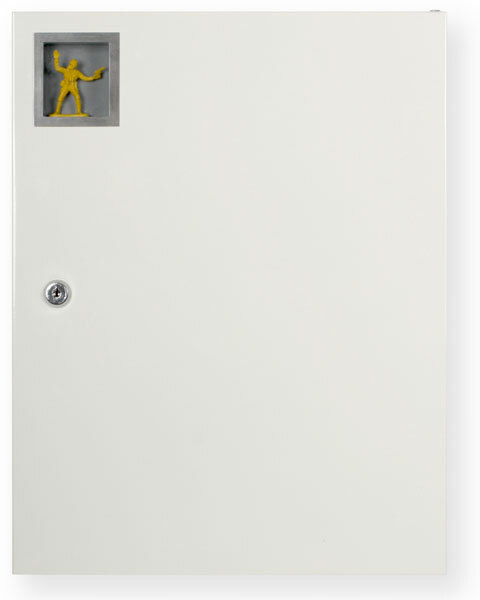 Turned on by a coin-operated switch, the lamp is set to predetermined time by an internal mechanism. 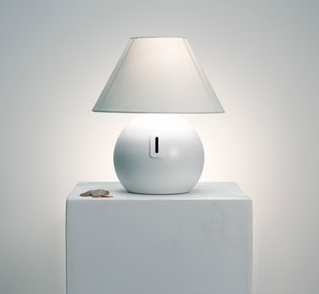 Developed with the assistance of a NESTA training program the final version of coin lamp will be available soon. 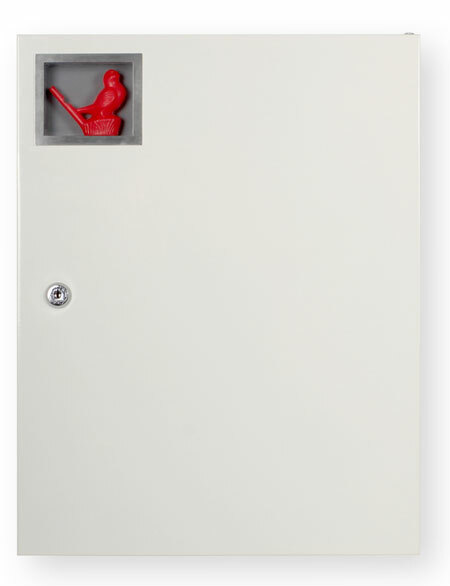 Powder coated 2mm steel hooks complete with wall fixings. 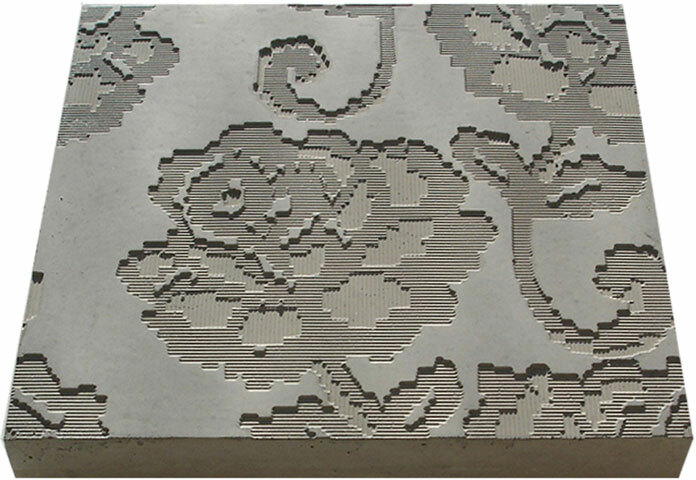 By mixing conventional materials with high technology surface design techniques a repeating pattern has been translated from lace into a three dimensional tile. 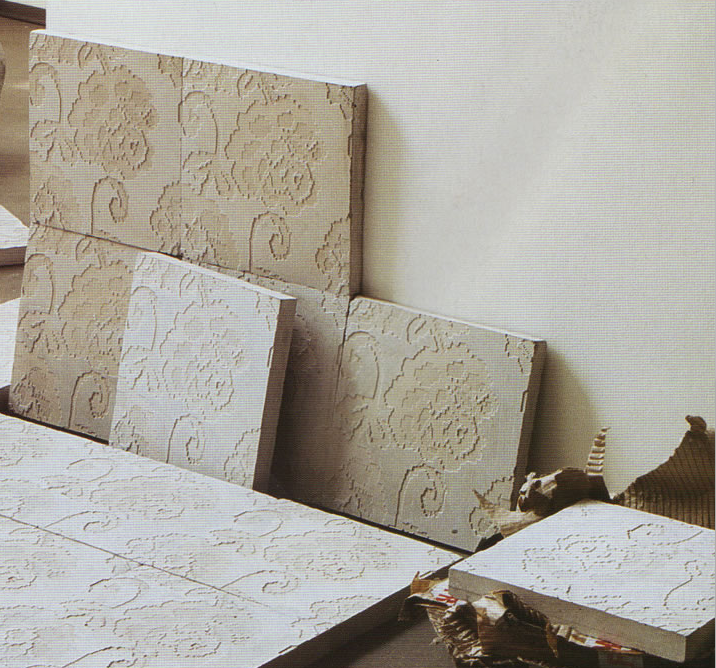 The tiles reveal the decorative rose pattern when laid in multiples. 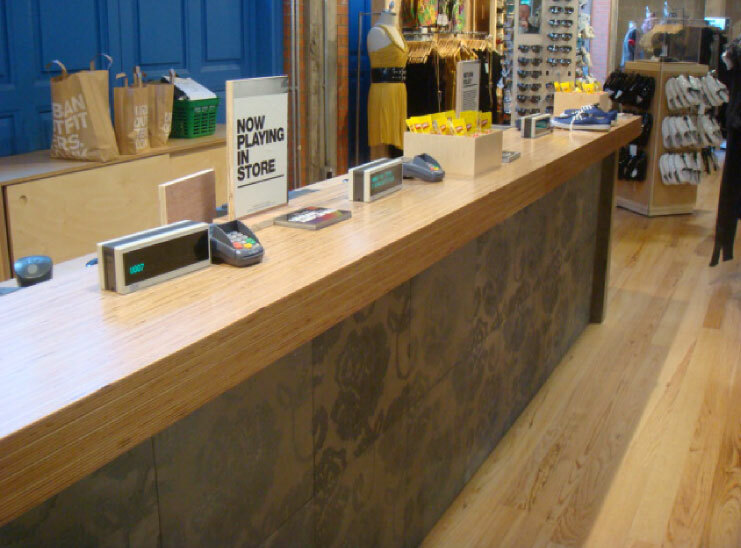 Projects include Urban outfitters, Revolution Vodka Bar and private residences in the UK and Europe. 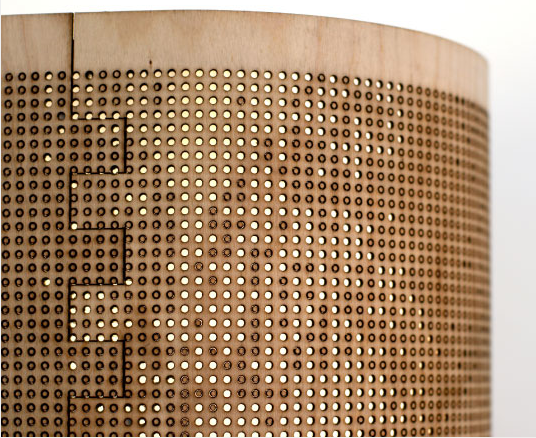 Handcrafted laser etched birch shade. 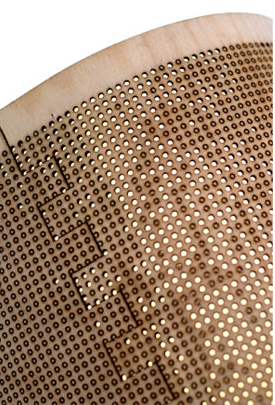 The random pattern is formed during construction when many of the dots fall out. 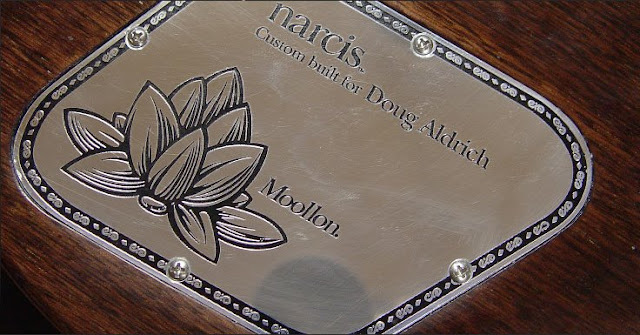 Complete with brushed aluminum base. 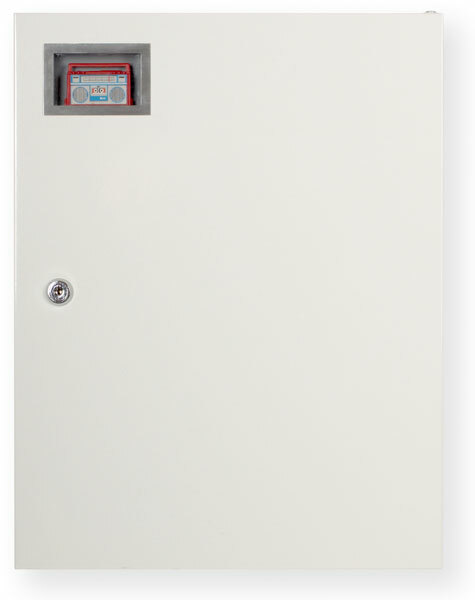 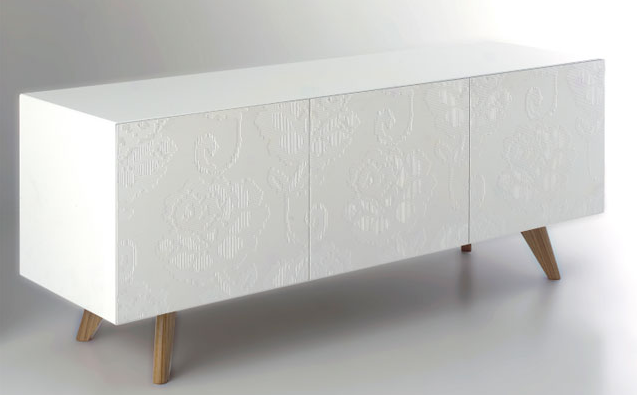 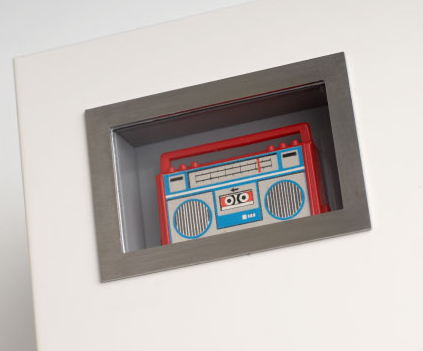 The side board, named the Textile Side Unit, was made in collaboration with Decode, London. 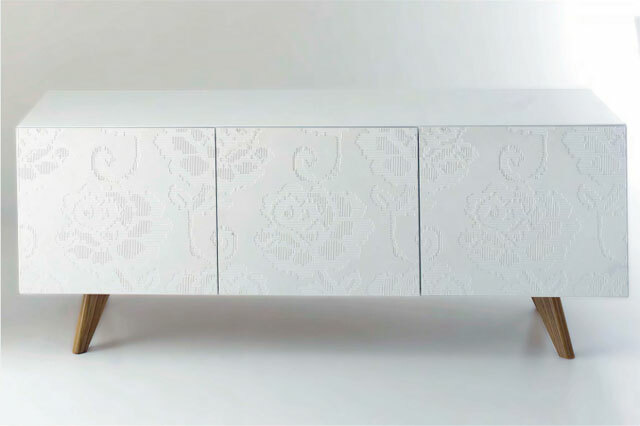 A lacquered carcass with CNC milled stone composite doors and solid oak base, it's priced from $8,000 and available in multiple sizes. 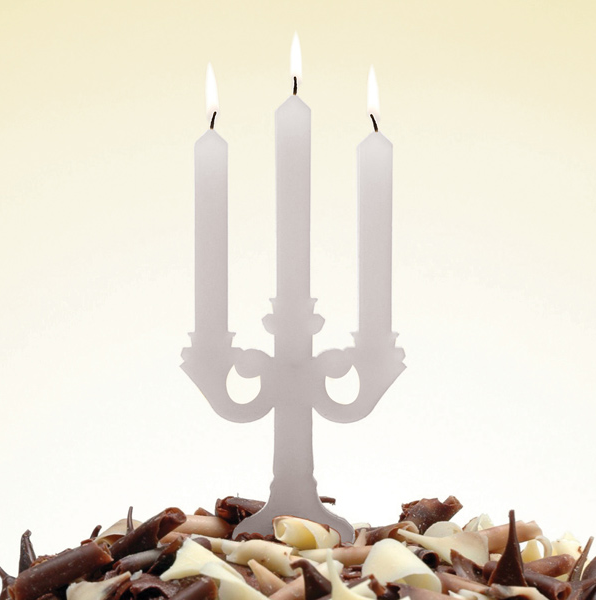 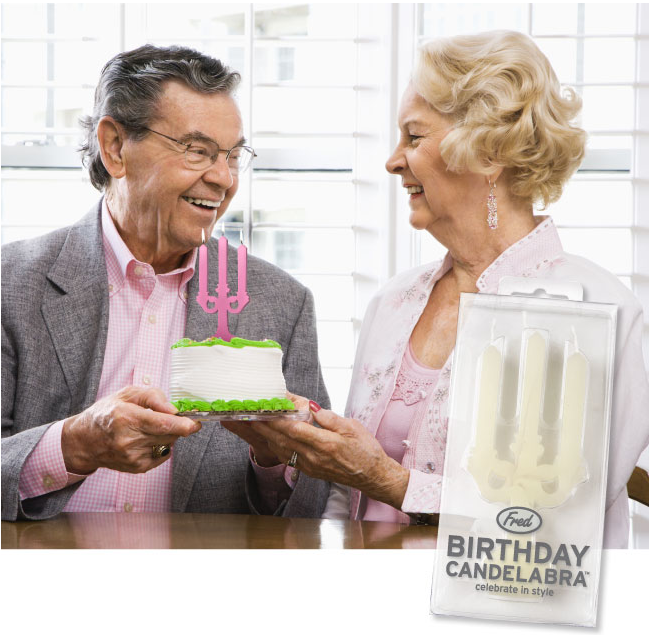 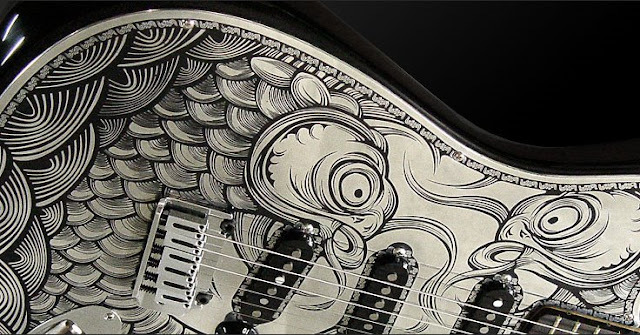 "My approach to my work and practice is to design products with both purposeful intent and visual appeal. 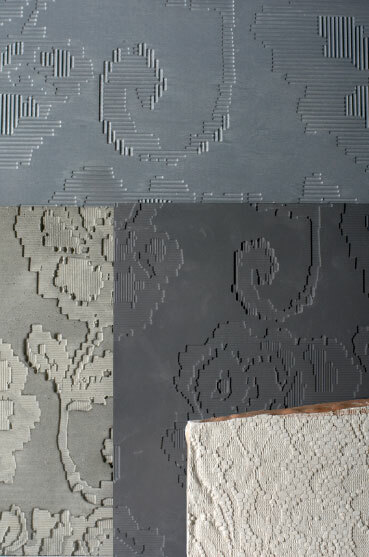 I incorporate digital technologies into my design process alongside hands on construction techniques. 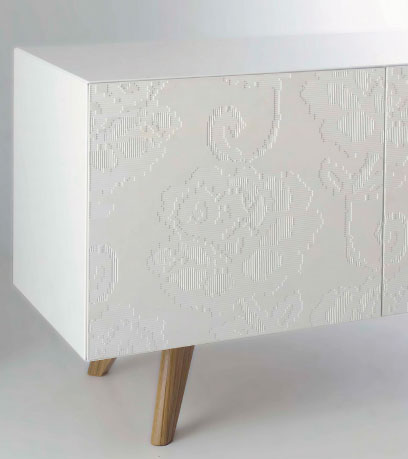 My work is designed in response to either self a directed brief or commission and is designed with the notion of a batch or mass production run in mind. 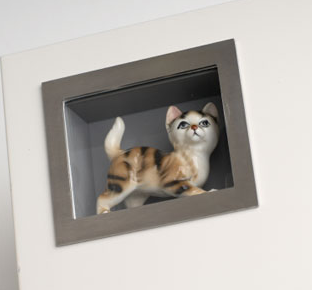 I established my business in early 2006 and design and manufacture a range of interior products sold through a selection of independent retailers both in the UK and abroad." 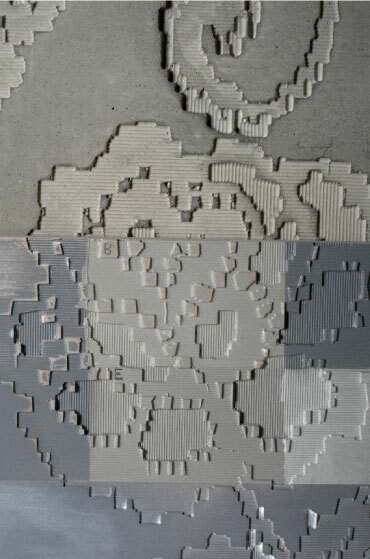 Small Spikey Mammals Serve As Design Muse: It's A Hedgehog Heydey. 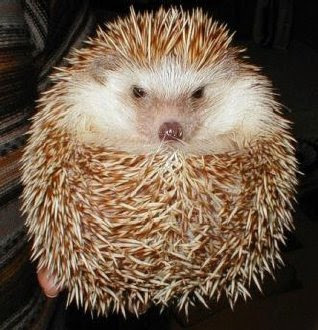 Hedgehogs have appeared in tons of products lately. Sure, they've always been a favorite amongst the serious gardening crowd, but these little critters have become the new hip design muse for many a product. I'm not talking about those little crafty hedgehogs made of pine cones or cuddly stuffed animals, but instead hedgehog inspired designs and functional modern iconographic versions of the little animal. 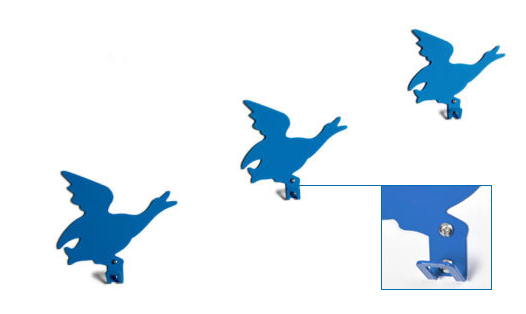 From 18k rose gold jewelry by Boucheron, wall art, doormats, desk accessories and chocolates to candles, bath rugs and letter pressed coasters-- even hood ornaments!-- all 24 shown below are available for purchase. Just click on the images below for purchase information. 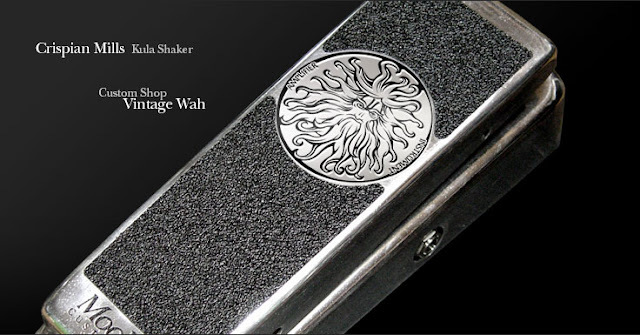 Just click on the images above for more info and links to purchase. 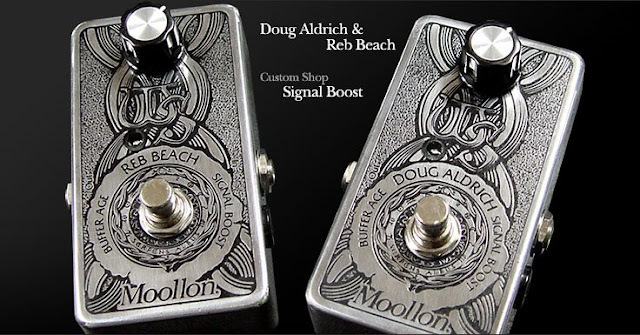 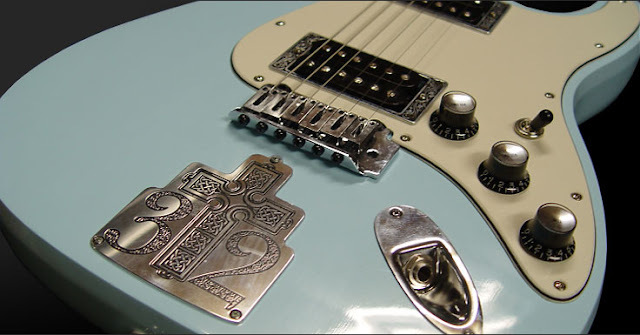 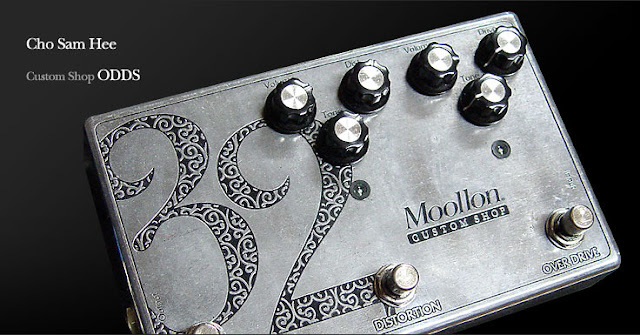 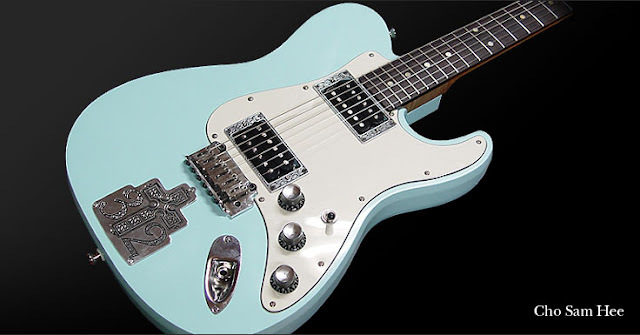 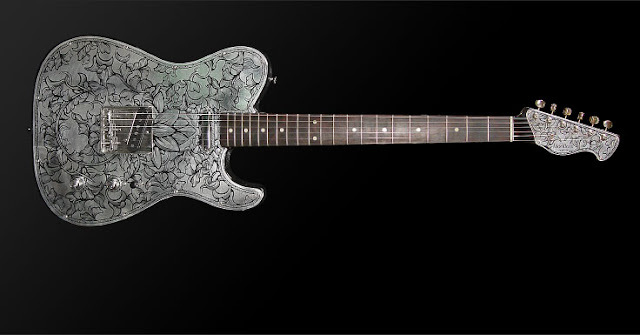 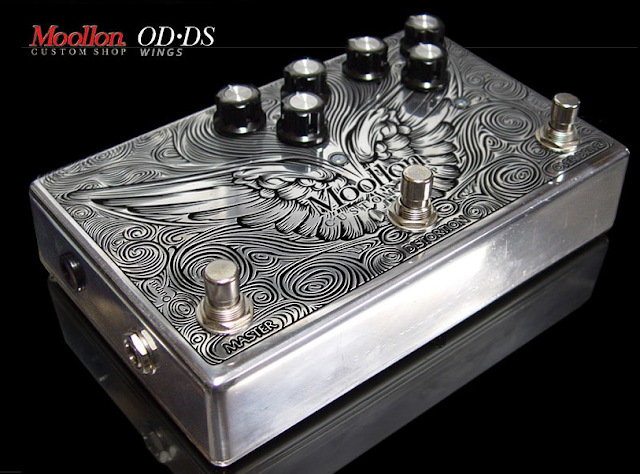 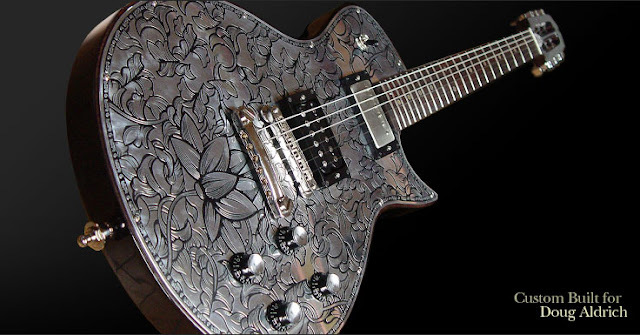 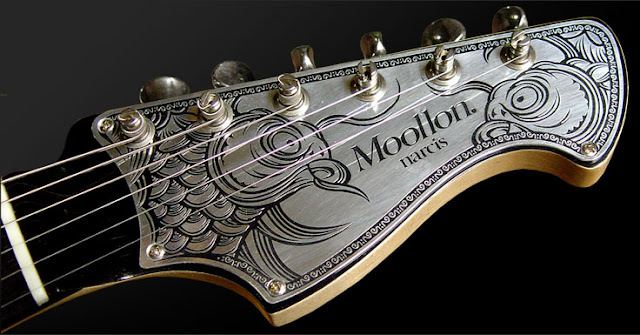 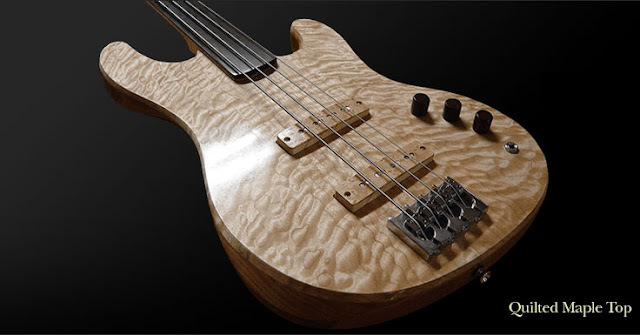 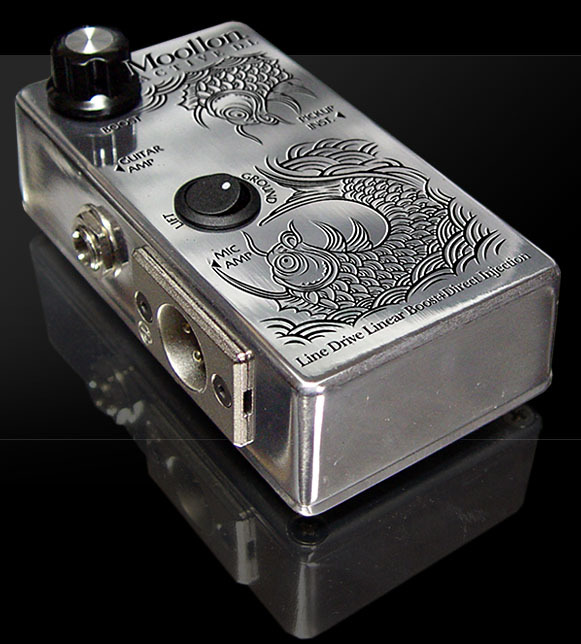 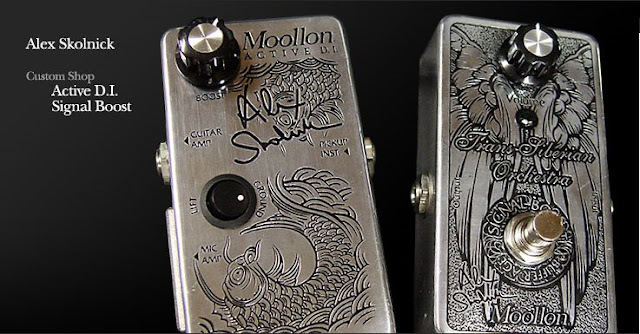 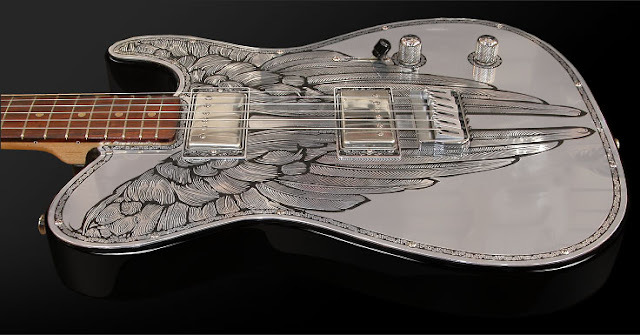 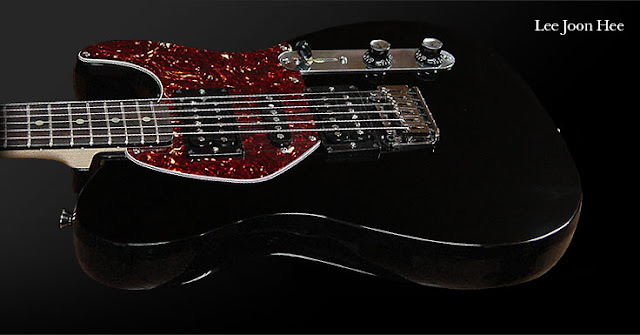 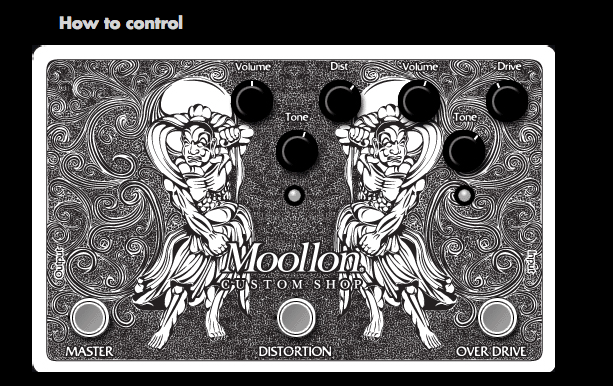 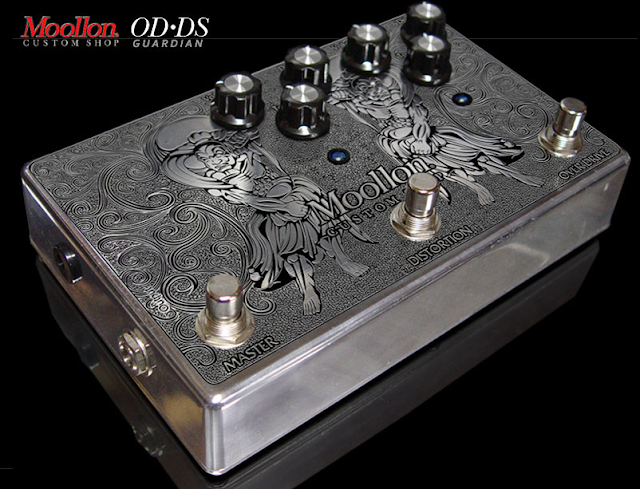 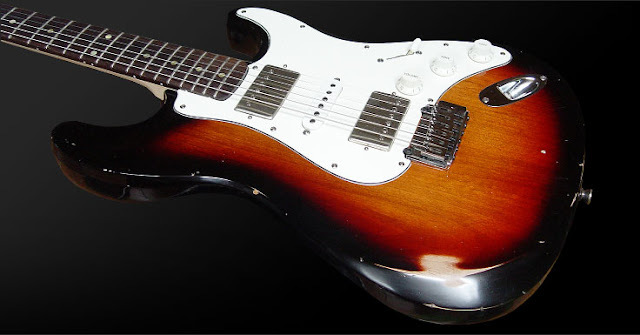 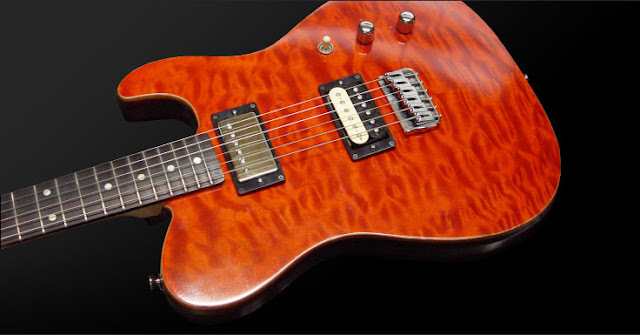 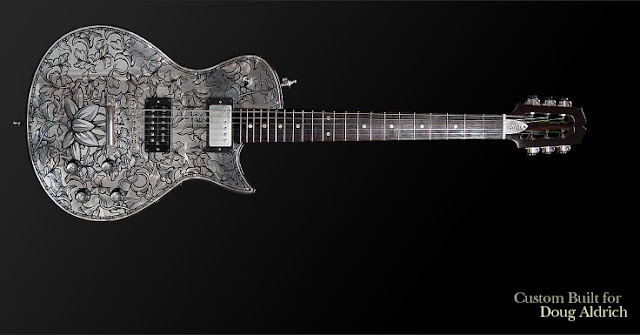 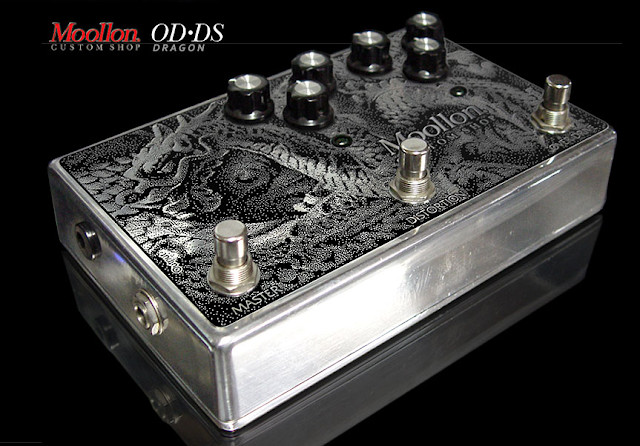 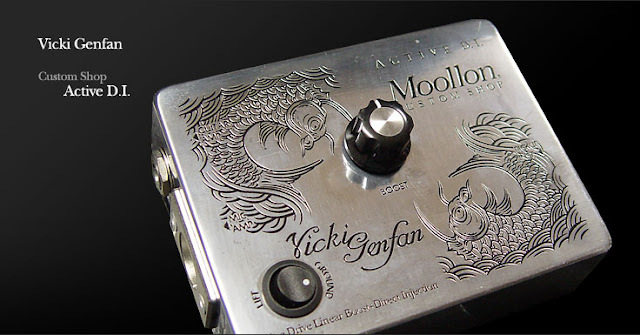 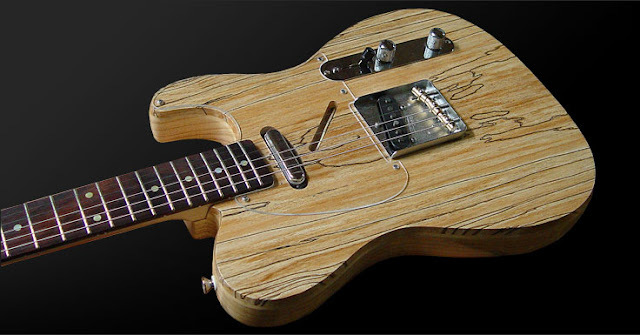 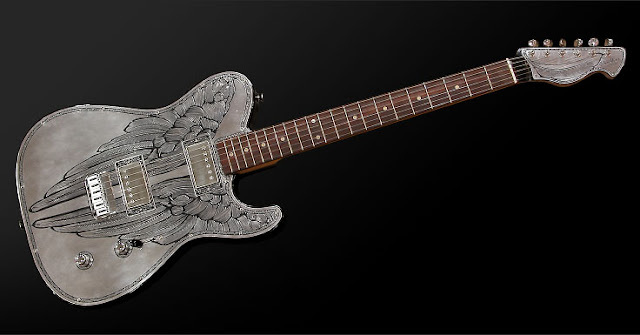 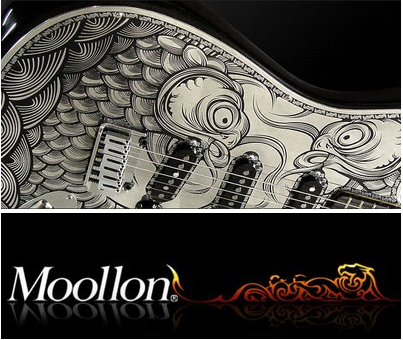 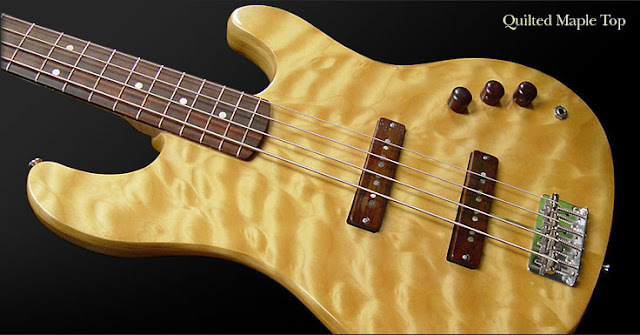 Moollon of Seoul, Korea designs and crafts some of the most beautiful looking guitars, basses, pickups and effects accessories I have ever seen. 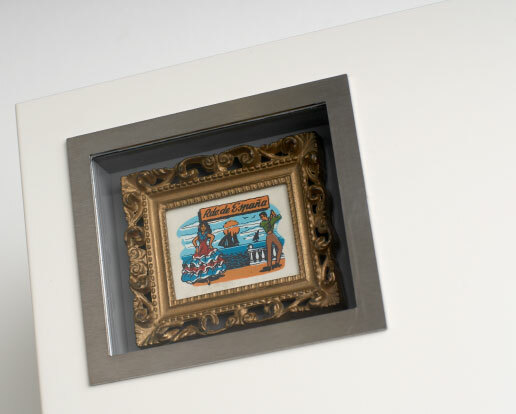 In addition to several custom creations for various artists, they have an impressive collection of private stock and retail products. 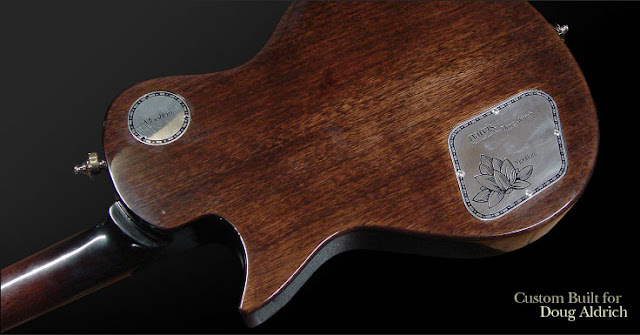 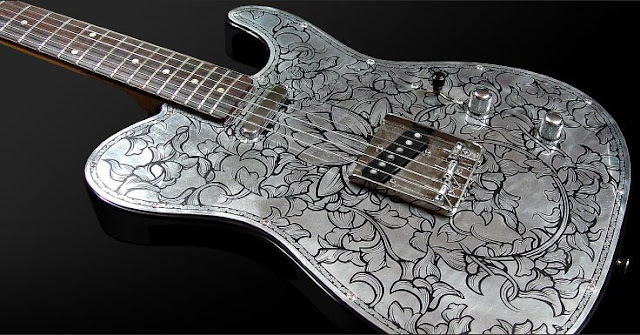 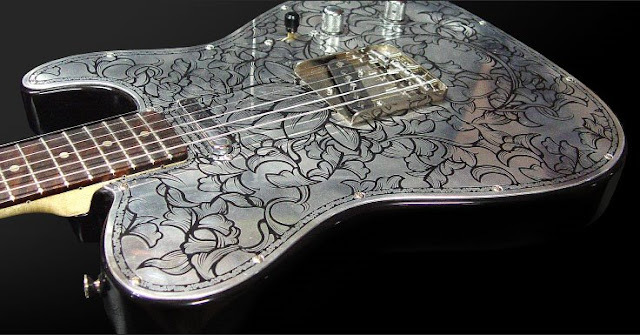 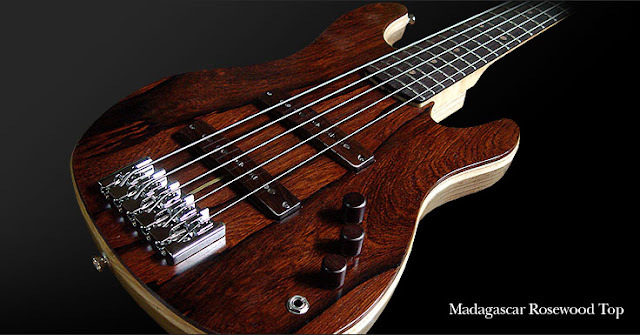 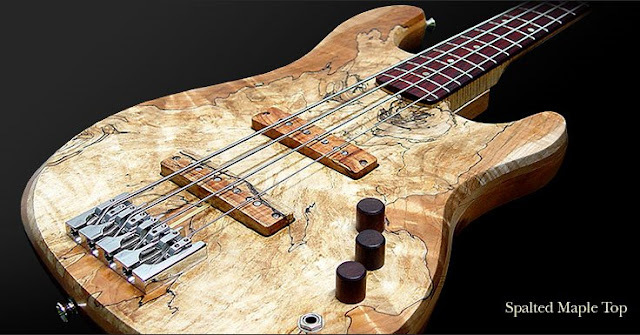 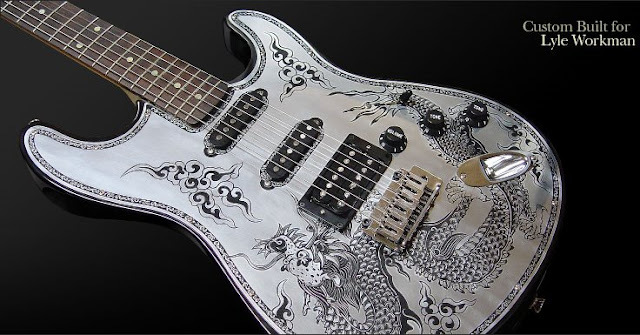 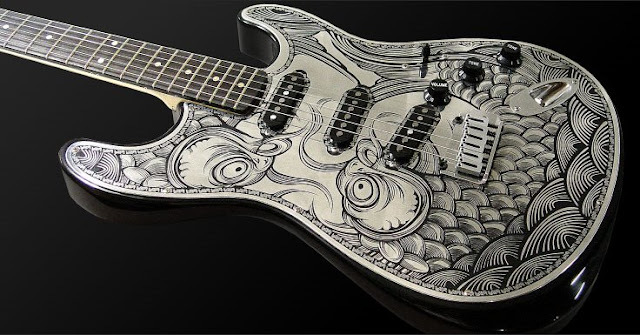 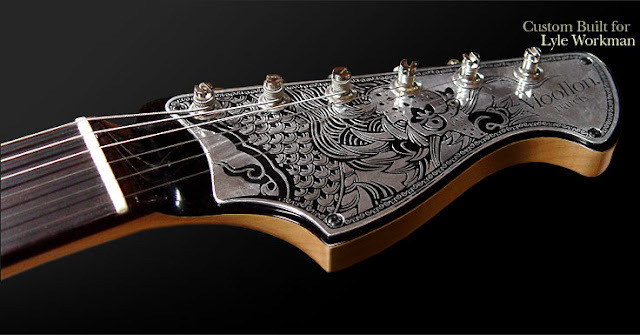 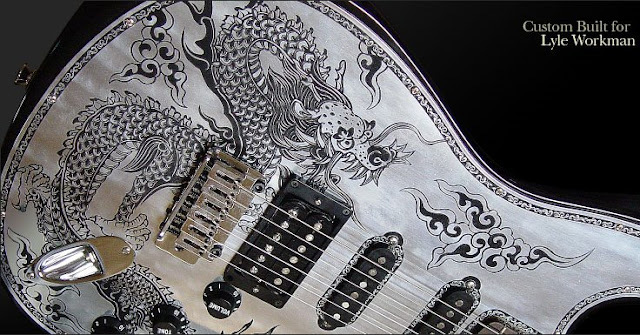 Etchings of dragons, carp, wings and lotus flowers adorn some of the guitars and exotic woods are crafted for several of the stunning basses. 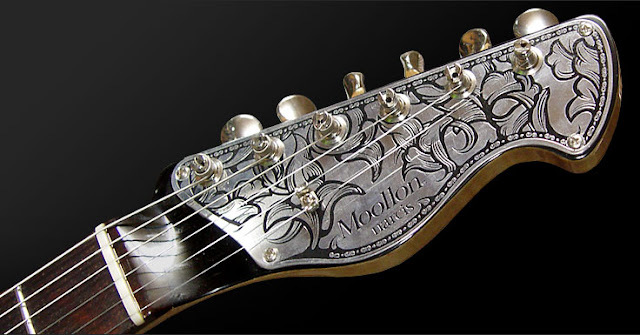 The pick ups and effectors have the same attention to detail. 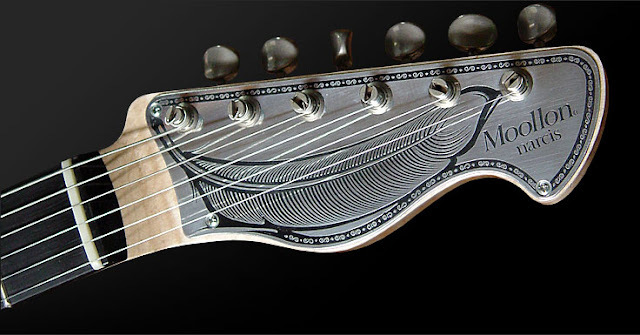 I can only attest to the design and aesthetics of these instruments and effectors. 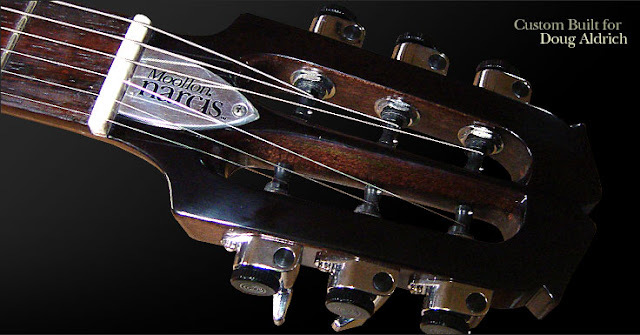 To learn more about them and how they are reviewed as technical instruments, please consult guitar blogs, stores, magazines, specialists, etc. 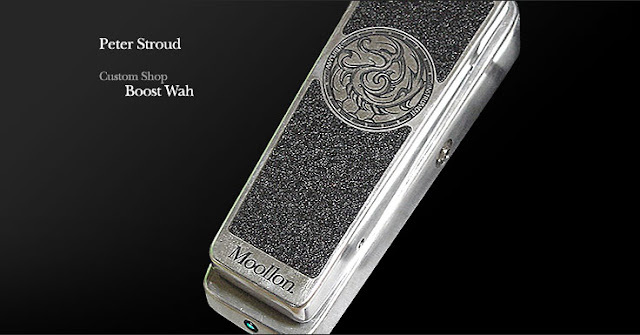 To locate dealers of Moollon products worldwide, go here.